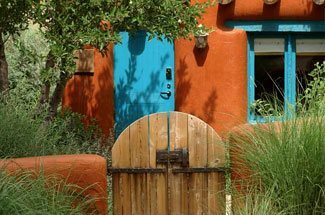 After a spectacular colorful fall, the weather has turned cool in Santa Fe. It’s time to plan your ski vacation. We have already had several snows on both the Jemez and the Sangre de Cristo Mountains. The snow making at Ski Santa Fe is in operation. Just to review, Ski Santa Fe (www.skisantafe.com – 505 983-9155) has five chairlifts and two conveyor lifts servicing 74 trails. Forty percent of the trails are expert, 40% intermediate and 20% beginner. There is a new black diamond run and the lodge is under expansion. Average annual snowfall is 225 inches with snowmaking on 50% of the mountain. Ski Santa Fe is a short 16 miles from Santa Fe (30 to 45 minutes drive). Of course, a little farther away are several additional ski areas including the Taos Ski Valley (two hours drive), Enchanted Forest Cross Country and Snowshoe Area (2 and 1/2 hours drive) and Sipapu Ski Resort (90 minutes drive). Santa Fe is an excellent base for your ski adventure. 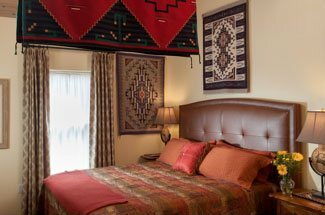 After an energetic day on the slopes, you can come home to a relaxing spa, enjoy fine dining, expand your knowledge at one of the fine museums, take in a live concert or just relax in your bed and breakfast room.